I lost 30 pounds (over a period of 1 year) after realizing that I had gained way too much weight after my second pregnancy. First, I made a specific duaa in the month of Ramadan, asking Allah (swt) to help me to reach my ideal weight. 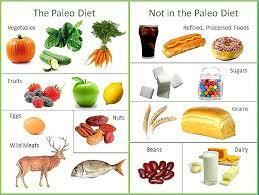 Second, I ate a no-grain and no-sugar diet (similar to the “Paleo diet” but not as strict). This means that I prioritized eating meats, vegetables, fruits, nuts, beans, eggs, and some dairy. I drank coffee to suppress my appetite. I used colon cleansing teas and of course exercised daily. Even if you try some of these ideas and make small changes, you will still see a difference. Going for long periods without eating helps your body to rebuild its digestive enzymes, which are depleted by processed foods. I also took digestive enzyme capsules. I would often wake up in the morning, drink a cup of coffee with cream, and exercise for about 1 hour, often having a late breakfast (or none at all). Another tip is to drink plenty of water. Someone once told me that “90% of the time we think we are hungry, we are actually thirsty.” This tip helped me a lot. I also ate a lot of apples (I prefer them peeled). I also discovered the allure of cold/ice water. Juices and sodas contain a lot of sugar/fructose, and they can contribute to weight gain. I found chilled water to be a refreshing substitute. Also, cold watermelon is a fabulous dessert. Good sleep is very important for maintaining a healthy weight as well as one’s overall health. Sometimes I drink chamomile tea at night, which helps me to sleep better. Chamomile tea has a host of health benefits, which you can research about on the internet. I occasionally take a multivitamin, but not every day. Many health experts believe that many health problems are caused by nutritional deficiencies. It is very important for YOU to discover what ways of eating and exercising best promote your happiness. You need to study yourself, and you need to prioritize your happiness (for the sake of being a better, more productive servant of Allah). HAPPINESS HINT: Choose your ideal weight and then work towards achieving it while at the same time praying to Allah about it. That’s very inspiring masha’Allah. I’m definitely gonna try your tips in shaa Allah! Thank you dear Fatima! 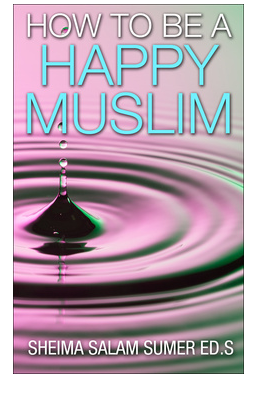 It is a pleasure to connect with you and your uplifting blog thepositivemuslimah.com!